People > Interview > How do scientists pick their fields? AGCI Interview Aspen, CO 2012 Climate Sensitivity on Decadal to Century Timescales. What happens to the climate influences and is influenced by many other processes, such as geologic or ecologic changes. As a result, climate change is a complex field of study that benefits from the input of scientists who have diverse areas of expertise. In this clip medley from a 2012 interview, three scientists--Jeffery Kiehl, Max Wei, and Rob Deconto--discuss what they do and how they entered their current field. These interviews were conducted by AGCI during a workshop on Climate Sensitivity on Decadal to Century Timescales. 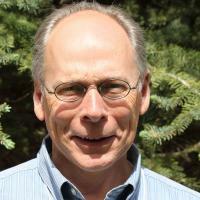 Jeffrey Kiehl is a senior scientist in the Climate Change Research Section at NCAR. He has carried out research in the area of climate change for over 25 years. His research has focused on climate effects due to changes in greenhouse gases and ozone, he served on a number of National Research Council panels and committees, and is a Fellow of the American Meteorological Society. He is currently interested in investigating connections between psychology and environmental issues. Dr. Kiehl received his Ph.D. in atmospheric sciences from the State University of New York at Albany. Dr. Kiehl has an M.A. in psychology from Regis University. He is also a Training Candidate in the Inter-Regional Society of Jungian Analysts. Dr. Kiehl developed a deep concern for the environment while working on simulations of Earth's past and future climates. Rob DeConto is a professor of Geosciences at the University of Massachusetts-Amherst and maintains adjunct research positions at Columbia University and Victoria University of Wellington. Dr. DeConto's background spans geology, oceanography, and atmospheric science, and he has held research positions at both the US National Center for Atmospheric Research (NCAR) and the National Oceanic and Atmospheric Administration (NOAA). His early research used numerical climate models to better understand the mechanisms responsible for past periods of extreme global warmth. In recent years, his research has shifted toward the polar regions--including fieldwork in Antarctica, the development of coupled climate-ice sheet models, and the application of those models to a wide range of past and future climate scenarios. Dr. DeConto currently serves on a number of national and international science boards and advisory panels, and he is currently co-chair of ACE (Antarctic Climate Evolution), an international research program under the auspices of the Scientific Committee on Antarctic Research. Max Wei is an engineer turned climate scientist with a PhD in Electrical Engineering and Computer Science. He currently works for the Sustainable Energy Systems Group in Berkely, California. He is a member of the group BECC (Behavior, Energy, and Climate Change) and has given multiple lectures on the subject of climate change and human behavior. Did all the scientists begin their education in the same fields they ended up working in? How are the jobs and interests of each scientist in this clip similar to the jobs and interests of the others? How are they different? Backstory Author: creative writing. Use your science journal or another notebook to write a fictional story about an event that could lead to a career in science. If you have been to the movies recently, it seems as though everyone has a backstory. Whether it’s a villain’s reason for being villainous or the tragic truth about a hero’s secret sorrow, there is a tale behind every character. Now it’s your turn! Create an imaginary scientist in the field of your choice and write a dramatic story about how he or she began a career. Be sure to include an influential event or person, clear setting details, and a plot! In your science journal, record your thoughts and research on the following topic. Not all scientists begin their careers in the same field they end up in. Find a scientist in your community and interview him or her about where he or she began working and what the scientist does today. Choose someone whose job is interesting to you. Write down or sketch what you think their job is like. 3. 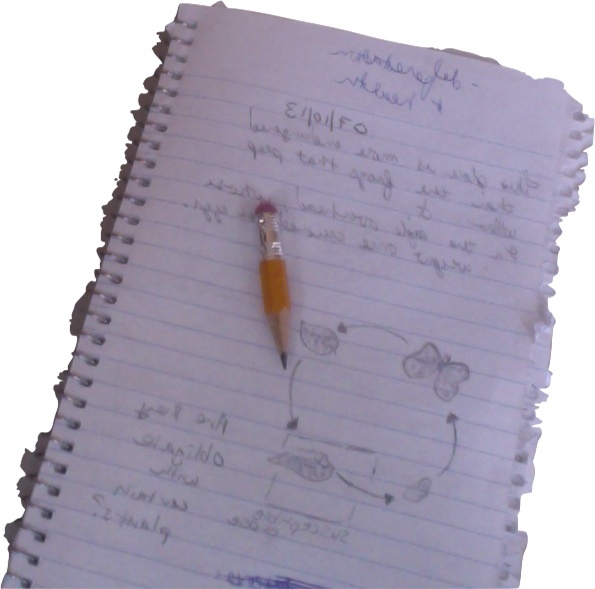 Brainstorm and jot down some questions that you would like to ask. What does your job today look like on a day-to-day basis? Have you always wanted to do this type of work? What did you want your adult job to be when you were 7 years old? What was your first degree in? 4. Contact the scientist you have selected by phone or email and set up an interview. 5. Conduct your interview and record the answers to your questions. 6. Reflect: what did you learn about the scientist or his/her job that most surprised you? 7. Optional (for teachers): Have your students write a profile of the person they interviewed. Encourage them to include details about how the person feels about what he/she does and how he/she looked, spoke, and acted. At the 2012 workshop where they were interviewed, Jeffery Kiehl, Rob DeConto, and Max Wei all gave presentations. Further information or video footage from these presentations can be found on AGCI's website. Jeffery Kiehl: Fast and slow psychological processes and future climate. Rob DeConto: Mechanisms in the transition of fast to slow climate feedback. play How did you end up where you are today? How do scientists pick their fields?